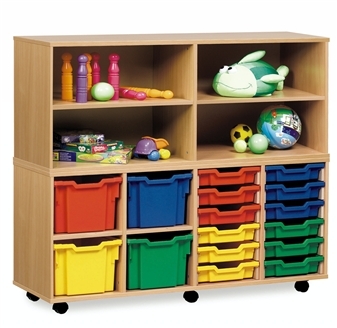 Fully assembled wooden tray storage units taking a combination of Shallow, Deep & Extra-Deep Gratnells plastic trays. 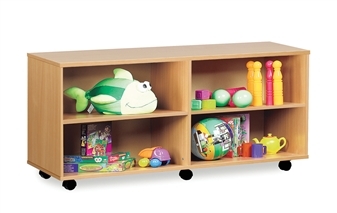 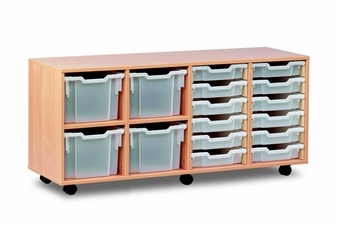 These mobile units are suited to school, classroom, and other educational environments, and may also be used at home, in the office, or in workshop settings. 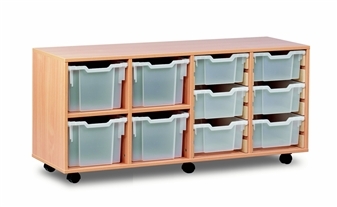 The units are available in a beech or maple carcass and a selection of Gratnell tray colours.